Bardha Gjon Markagjoni was born in Orosh, Mirdita in 1925. She attended catholic school in Shkoder followed by college in Italy. In 1943 she came home to spend the holidays with the family. The borders were closed after the war and she remained in Albania with half her studies remaining. The arrival and establishment of the communist dictatorship in Albania would change not only the lives of this family, but also of all women. In 1945, at the age of 20 she was interned. The family home in Orosh burned to the ground before their eyes, with all their possessions inside. They persecuted Bardha and all other family members who were captured, while her older brothers Mark and Llesh were fighting with the resistance against communism. Bardha was held captive in Berat for four years and then arrested without an arrest sheet. She was held for five months, most of the time made to stand on her feet, without having the opportunity to meet with other prisoners. She was sent into into a dark hole, then in a large room, alone. . .always alone. Every night she heard the suffering of the detainees of the Qeribashi Sami group without interruption, they were being beaten, she heard their screams of pain. On the day she came out of prison, she met with her grandmother Dava 90 years old, who later died in internment. Bardha buried her grandmother. Her grandmother’s grave was later lost. Upon her release she also saw her brother Mark’s wife, Marta, who had became paralyzed while in the camp. The years passed in internment with hard work and pain, pain which was evident when she finally saw her mother, Mrika, wife of Kapidan Gjon Markagjoni, mother of ten children, who suffered physically, emotionally and spiritually. Who suffered for the loss of her two sons Mark and Sander who were killed fighting in the resistance; for her daughters; her son Nikoll; nieces, and nephew who were living in internment and lacked the most basic of things; for her son Deda who suffered in prisons and labor camps and the thought that she would never again see her husband Kapidan Gjon and son Kapidan Ndue. Bardha too lived in forced labor camps. In 1953 she was sent to internment in Saver, to work in agriculture, traveling twice a day. On each trip she would transport Martha, the paralyzed wife of her brother Mark, who remained so for three decades. In 1965, at the age of 40 she married George Bici (who himself spent twenty years as a political prisoner). They were placed in the Milot camp and were allowed to move to the districts of Lushnja, Fier and Kruje. In 1975 they were arrested and condemned for “agitation and propaganda”. Their witnesses at the trial were a man and a woman whom they never met. Now at the age of 50 she and her husband were tortured and sentenced to ten years in prison each, separately. Bardha says: “They held me for 11 months, that period I spent it dressed in a skirt and blouse (both in summer and in winter). The food was cabbage soup, the only dish Kazan. After they condemned me I was sent to the prison Kosovo of Portland, while the men to the camp in Fier Ballsh, to farm jobs in agriculture, there were 75 prisoners.” In 1982 she was released from prison with a reduced penalty. In 1986, she was interned at Fisher – Zadrima Lezha district. She did another 4 years in internment. Bardha says “In 1985, my husband George came to live with me, after ten years of prison, suffering from cancer in the lungs and ultimately dying in 1986. I remained alone again to continue my life in internment. Other members of the family who were still alive were never close by. They were prisoners of internment in other counties.” George and Bardha never had children. In 1991, at the beginning of the democratic process Bardha was joined by her brother Deda in their father’s home in Shkoder, where the home was reduced to one livable room. There began a new era, that of unity. 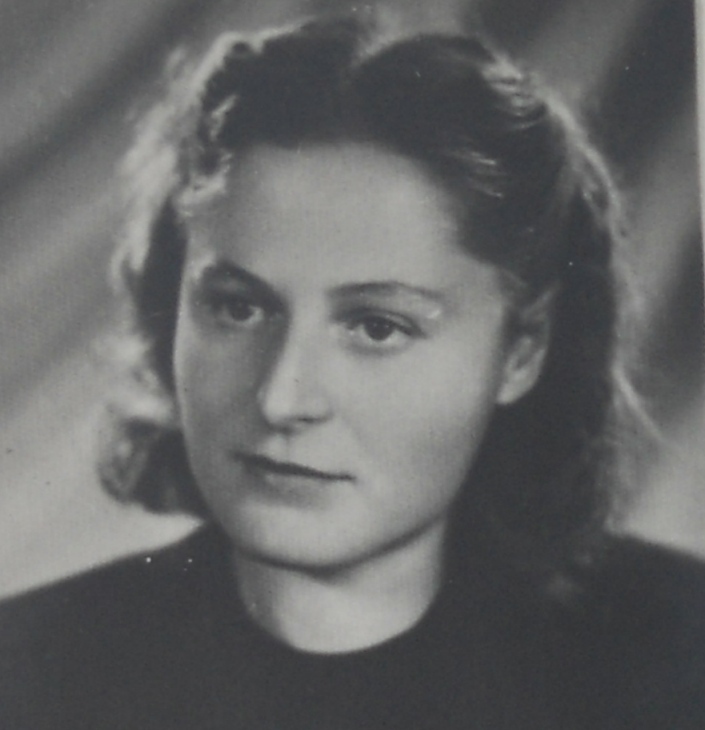 Bardha Markagjoni, a young girl who aged in prison, interned by communism, with a class struggle that continued throughout her life, remained an example to the suffering and pain. Her life is a living monument of strength and honesty, of resistance, survival and pride, which gave more love and generosity and remains a perfect example of survival. This figure was of a distinguished woman devoted to pain but also to resistance. Another great article In Memoriam was written by noted writer and historian Eugjen Merlika, grandson of Mustafa Kruja, Albania’s Prime Minister 1941-1943. You can click on the following link to read the article in it’s original Albanian version Princesa Mirdita. Below is the English translation. There is news which is often hesitant to trust to man. This happens more when the subject is the loss of a loved one, whom you visited recently, for just a few hours, and left without thinking as though it might be your last meeting. One can think about the fragility of human life to calm the soul wounded by an unacceptably hard loss, but something remains to prick the soul about the conversation which suddenly becomes the last in the life of a man. Going so far as taking up the pen to compose one last honor through these simple words that come from the depths of the heart, a friend, close to my mother, a daughter and a family friend of my father’s in the early years, a noble woman, known as a child in the death camp, a proud “pasardhëseje” of a house known to Albania of beautiful traditions, a princess of Mirdita, Bardhe Gjomarkaj, who was remembered on March 20 at her home by a large majority of relatives, “bashkëvuajtësish” and citizens of Shkodra. 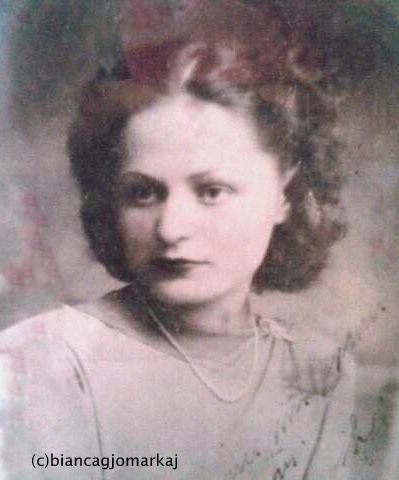 She was separated from the bosom of the family on March 19, but I was separated from her at the outer gate of her home on March 9, after visiting Shkoder, Albania for a few days. It was the wish for a quick kiss, a hug, as when I was a child, with the warmth of a mother. Because she remembered my mother she often spoke to me about it. They spent terrible years in Tepelena. Every day together in line like cruel slaves, loading wood on their back to bring to camp or to take to the families of the officers. Each day under the weight of the wood of the dictatorship, for years at their most beautiful age in life, in its first quarter century, the age of women’s dreams for love, for family. For Bardhe and her friends dreams were deeply hidden in a secret drawer, and life required of them to face the ordeal of labor. It also required another thing, to retain human dignity at the highest levels. This was the most difficult mission that was undertaken by Bardhe, her sister Marta, and suffering friends; Elena, Gina, Suzana, Cuba, Kuni, Ruqaiyya and many other girls and women of noble Albanian families in the internment camps of the dictatorship. Most of them now lie in the world of truth, their spirit calm. Their resistance to violence and its provocations maintained the dignity and honor of their families, who were prominent Albanian families in the patriarchal society. Those women deserve the laurels of glory, not only for their parents and their children, but for all Albanians, because they represented the Albanian woman in her heroic tradition, more noble, more beautiful, more inspiring for generations and history. Bardhe was the younger daughter of Kapidan Gjon of Mirdita. All her life was a continuous persecution, from a young age until the last breath of the regime. Faced with civil courage and bravery after being separated from her father and Ndue, the older brother who left the homeland, and the loss of freedom for her martyr brothers, Mark and Sander, bright men who fell in battle against communism. Internal family disasters like the illness during internment of her sister in law, Marta, compelling her to take over the upbringing and education of her young nieces and little nephew, hard work in the yards and fields of Albania, and later marriage in prison and ultimately the loss of her husband. A noble woman, never broken. A smart woman who engaged in discussion with many persons. A sweet woman faced with stoicism in the absence of children. The changes during the years after communism would bring family, and with it its pleasures, to the Mirdita princess. She returned to her home in Shkodra and found it almost completely destroyed, but it gave her the opportunity to inhabit her ancestral home. At that home her nephew Gjon was married, and with it brought new hope to this family, which was diminished by death and exile. Gjon, managed to become Mirdita’s deputy in the Albanian Parliament in 1996, and the reason of true joy for his uncle Dede and aunts Marta and Bardhe. But cruel fate once again played its hand and the nephew that she so loved, the light of hope after half a century of darkness which continued to shine on their tired faces, Gjon, departed from his people prematurely and this was a serious coup suffered by the family, especially Bardhe. She failed to swallow the bitterness of the last years full of pain, tired of honor, and always dreaming of a child in the house. Princess Bardhe’s white spirit has already reached paradise. 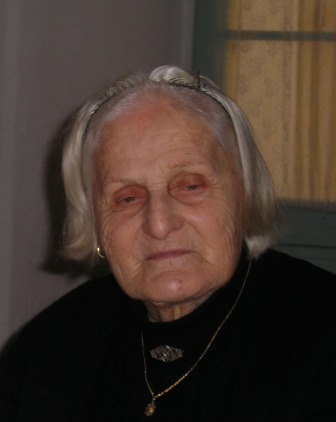 I believe that hell and purgatory were spent during her 88 years of life on Albanian soil. We are left with memories of her many difficult moments, left to cope with the wisdom and sweetness of a princess, but also the strength and determination of a “malësoreje.” Farewell beloved daughter, worthy and noble Albanian, whether you dust easily!